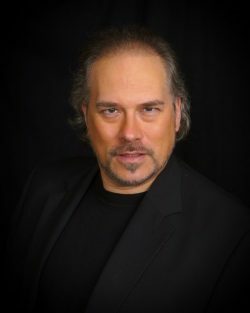 One of the leading heldentenors of his generation, John Charles Pierce has sung in opera houses and concert halls around the world. His interpretation of the role of Tristan in Wagner’s Tristan and Isolde has been the cornerstone of his career. After winning the Wagner Prize at the Liederkranz Competition in New York City, he moved to Germany to sing at the Brandenburg State Opera House. Operas he sang there include Wagner’s Lohengrin, Tannhaueser, Rheingold, Walkuere and Flying Dutchman, Verdi’s Otello, Hoffmann, Freischütz, Fidelio, Jenufa, Katia Kabanova, Pique Dame, Samson and Dalilah and Tony in West Side Story. Concert works include Requiems of Verdi, Dvorak and Mozart, Beethoven’s 9th Symphony, Elijah and Messiah. His Tristan debut was in 2000 in Dortmund, Germany. Since then, he has sung that role in Prague, Poland, Rio de Janeiro, Rotterdam, Victoria- Canada and in many cities in Germany and Austria. He recently was seen as Tristan in Japan, Argentina and Manaus, in Brazil. The role of Parsifal, was added recently in Zagreb, Croatia. He has since performed it in concert with the Orquesta Filarmónica de la Ciudad de México. Other Wagner concerts have taken him to Lima and Zagreb. He debuted at the Palacio de Bellas Artes in Mexico City, singing the role of Erik in Wagner’s Flying Dutchman. Pierce has been heard with the DSSO, singing in Verdi’s Requiem, and as a member of the Twin Ports Tenors. He teaches singing at UMD, and is co-owner of Duluth Fine Pianos.